Sparked by a quiz I saw on the internet, I started thinking about my synaesthesia again. I don’t think about it a lot actually – it’s part of me, so I don’t find it strange or weird like outsiders always seem to think that it must be. Anyhow, yes: I have synaesthesia. No, unfortunately not the cool kind where you associate or “see” a colour when you think of a letter or number, to put it simply. No, I have spatial orientation synaesthesia, which means I always see the months of the year and the days of the week arranged in the same 3D pattern around my personal space. It always feels as though I can reach out and almost touch them, but they are too ghostly for that. And then, linked to that, I have grapheme –> colour synaesthesia, but only slightly, as I only have it for certain numbers, and not for all of them. 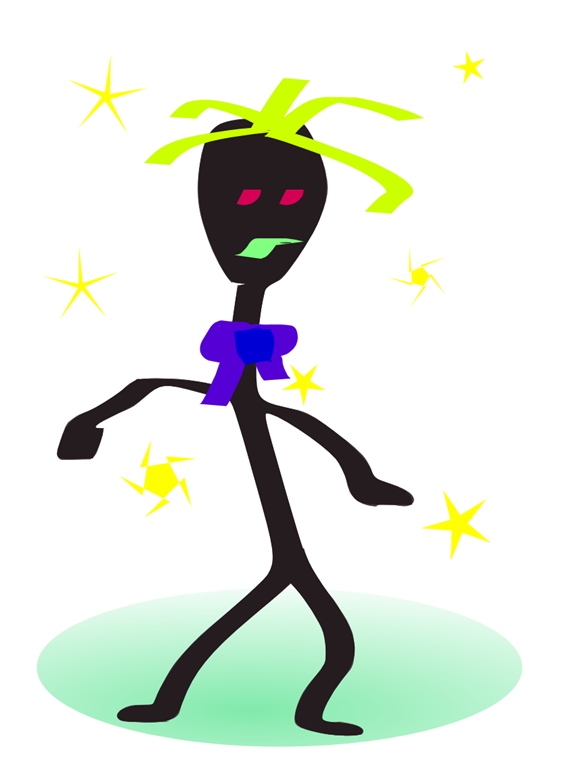 Anyway, I won’t bore you with a description of where I perceive the month July… so I drew some cartoons – about synaesthesia… Trying to depict my experience on a computer screen… I think I failed! 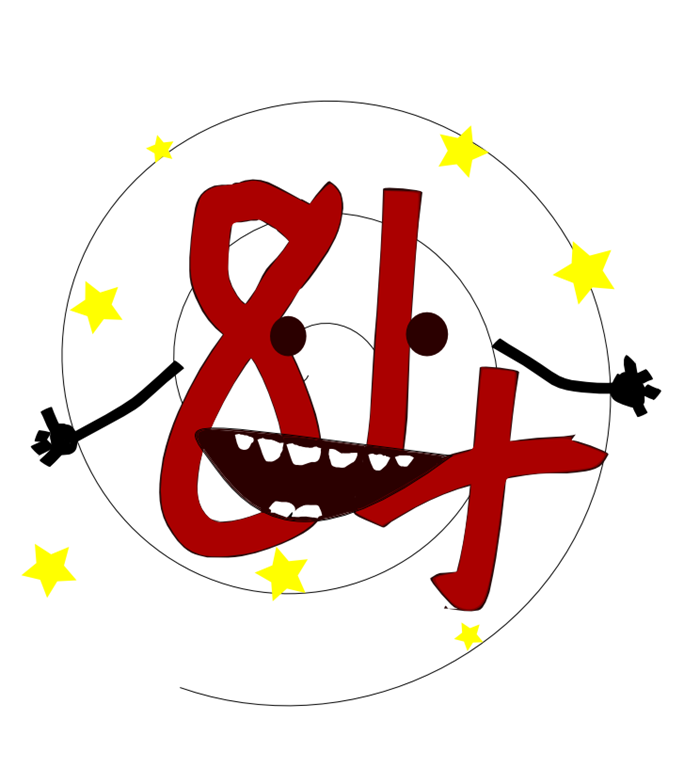 And this is what “66” looks like to me. 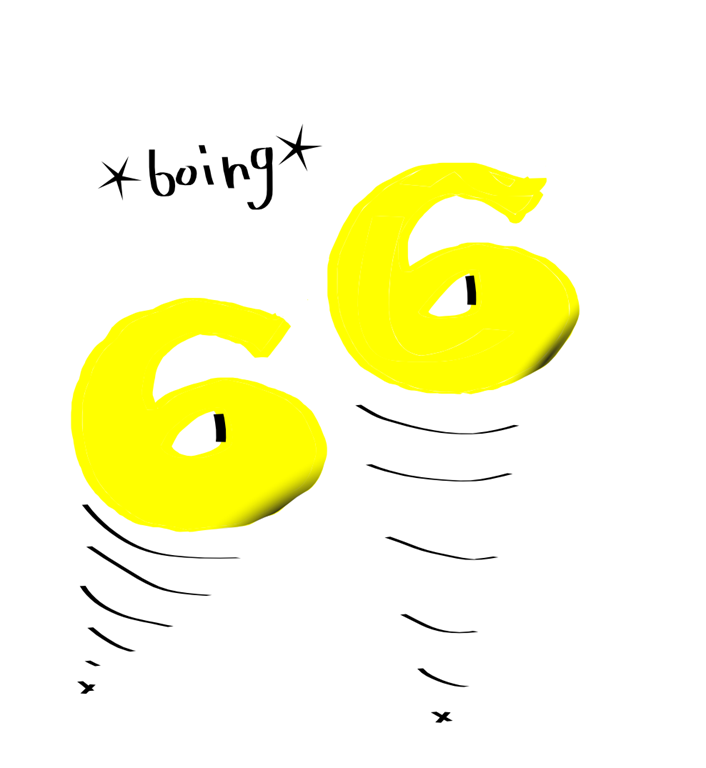 It is always bright yellow, and it looks as though the sixes are jiggling up and down! This entry was posted on June 12, 2011 by Elana. It was filed under Cartoons and was tagged with cartoon, synaesthesia. Bly jy hou van die 84! Hy het mooi gekom! Die 66… not so much! Stupid shadows wou nie werk nie. And it’s true: it is kinda easier to discuss some things on blogs than in real life. (Try tellin’ that to the ‘rents!) And you can decorate your words on a blog, which you can’t do IRL! That’s so cool! What exactly do you mean when you say the months and days are clustered around you three-dimensionally? Like, Sunday is always above your head and Tuesday’s by your left elbow or something? Well, I think that’s extraordinary! Snap! 🙂 The pictures are great! I cant seem to get my images out to make them….images. They’re sort of everywhere. Wish i could draw mine then my boyfriend would understand and wouldn’t make visually uncomfortable sounds such as clapping or coughing! !